A robust hinge mechanism provides an incredible 115 degrees of tilt adjustment while simultaneously controlling monitor height. This flexibility allows the screen to be moved parallel with the desktop—perfect for touchscreen applications. 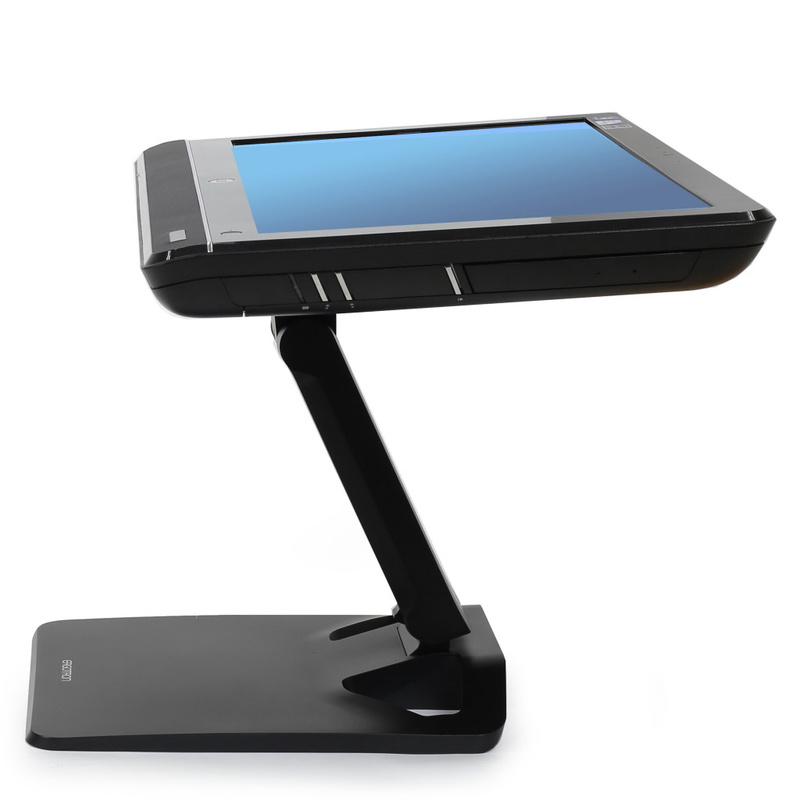 This stand’s strength and heavy-duty design also make it well suited for use with all-in-one PCs and hefty displays.